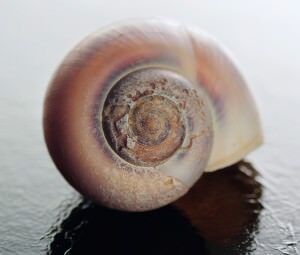 Ocean acidification causes shell damage, such as seen in this photo. Last week, the U.S. National Research Council (NRC) released a report to provide a roadmap for future climate intervention research. It examined the potential for two different approaches for mitigating the effects caused by increased CO2 concentrations in the atmosphere: CO2 sequestration and techniques to reflect incoming sunlight before it enters the atmosphere. Risks associated with CO2 sequestration and capture are well understood, while the risks associated with sunlight-reflecting technologies have unknown environmental, social, and political risks. One of the options under consideration for sequestration is the oceans. The oceans currently hold about 30 percent of the CO2 generated by humans over the last 100 years, which seemingly makes them good candidates for carbon dioxide storage. But the NRC cautions against using the oceans, because the potential consequences outweigh any potential benefits. One of the biggest consequences of using the oceans as a storage vessel for CO2 is the increase in ocean acidification. Ocean acidification occurs when CO2 in the air dissolves in water, creating carbonic acid. This decreases the water’s pH levels, making it more acidic. More CO2 in the atmosphere causes more to be dissolved in the water, which further decreases pH levels. Artificially adding CO2 to the water would only speed up this acidification. While ocean acidification could lead to more plant life, because the additional CO2 helps plants thrive, fish and other sea creatures do not fare as well in acidic oceans. Their shells slowly dissolve, and they have to expend more energy to perform basic bodily functions. Ocean acidification threatens the survival of plankton, the base of the marine food chain, and coral reefs, which sustain “tourism, food security, shoreline protection, and biodiversity,” according to the United Nations Educational, Scientific and Cultural Organizations (UNESCO). Keeping carbon emissions at their current rates could make the oceans up to 150 percent more acidic by 2100, UNESCO states. This makes the oceans risky to consider for CO2 sequestration. Two factors are also impacting the oceans’ ability to absorb CO2. As ocean acidification increases, oceans are less able to absorb additional CO2. Additionally, as temperatures increase, the rate of the oceans’ carbon absorption will decrease. One easy way to understand the impact of temperature on CO2 concentrations is to think of what happens to carbonated beverages when you open them. If the beverages are refrigerated, the “fizz” lasts longer. This corresponds to a higher amount of CO2 remaining in the water. Room temperature drinks lose their “fizz” faster because less CO2 remains dissolved in the water. As global temperatures rise, less CO2 can be dissolved in the oceans, which will likely lead to even more CO2 in the atmosphere. This will result in still warmer temperatures. In fact, a recent study suggests that a massive release of CO2 from the oceans ended the last ice age. This highlights the need for scientists to improve methods for carbon sequestration. The role of the oceans in the carbon cycle is complicated, and not well understood. Other, less mature options for CO2 sequestration and capture—such as capturing the carbon dioxide at the source, transporting it via pipelines, and finally injecting it deep in to bedrock—are also under consideration. These are the technologies where time and resources should be focused to have the largest impact. However, as stated in the NRC report, reduction in carbon dioxide pollution from the start is the most desirable solution.